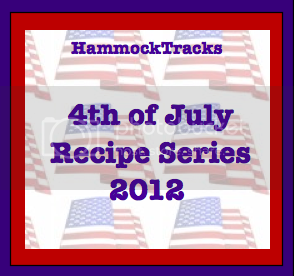 It's Day Five of the Fourth of July Blog Hop Series hosted by Savannah of Hammock Tracks. Today we are sharing awesome summer desserts with you. 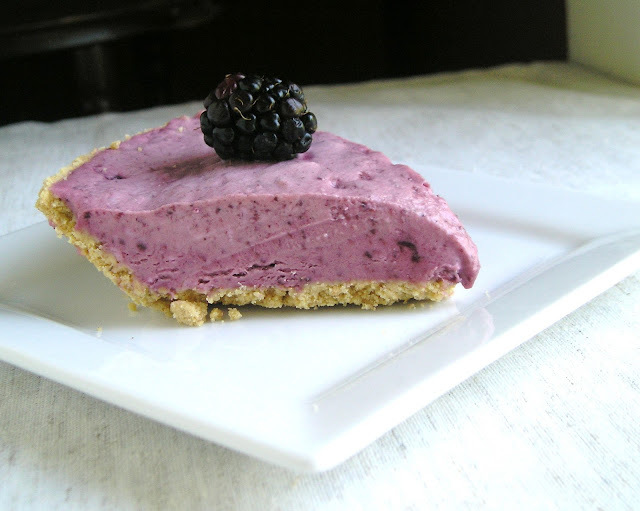 This No Bake Blackberry Cream Pie is the perfect summer dessert. It's super fruity, slightly sweet, creamy, cool, and making it won't heat up your kitchen. It's slightly adapted from one at Better Homes and Gardens. 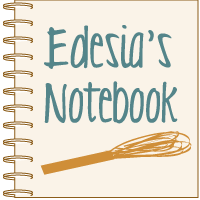 In a medium mixing bowl beat whipping cream with an electric mixer on medium-high speed until stiff peaks form; set aside. In a large mixing bowl beat cream cheese with an electric mixer on medium-high speed until smooth. Add blackberry spread. Beat on low speed just until combined. Gently fold in whipped cream. Spoon mixture into pie shell. Cover and freeze for 24 hours or until firm. Garnish with fresh blackberries, lemon peel twist, and/or mint. Oh my goodness. This pie is so good! It's the perfect combination of sweet and tart. It's frozen, but it just melts in your mouth, literally! And isn't it the prettiest thing you ever saw? That color is just gorgeous. While it is cinch to throw together, you do need to make it a day ahead of time. The original recipe called for freezing it "4 to 24 hours". I froze it for 4 before cutting into it, and it was not set up in the least. I made it for my mom and her friend who stopped by briefly one afternoon, and I ended up serving them Blackberry Cream Pudding. Still super duper tasty, but not a pie. I put the remaining pie back into the freezer and left it there for 2 days. It was good and set up by then! Check out the other great summertime desserts below, and come back tomorrow for a refreshing summer beverage! I can see where this is the perfect combination of flavors and that it would melt in your mouth. Thanks for linking this up! visit the site, that's what this webswite is providing. IP change of handle and even anti ban algorithm.